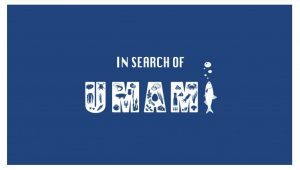 Currently producing a new series on Umami for Channel News Asia. Featuring Robert Allison. Now in post production. Shoot took place from end of July right through to August. Locations: Singapore, KL, Kelantan, Hanoi, Seoul and Busan. Another long road trip for Route Awakening, Season 5, scheduled for shoot 3rd quarter of the year. Now posting. Awards: Finalist in New York Festivals International TV& Film Awards. For Route Awakening Season 3. 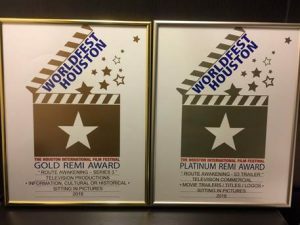 At WorldFest Houston, Season 3 Route Awakening won Gold [Information & Culture] and Platinum for Best Trailer. 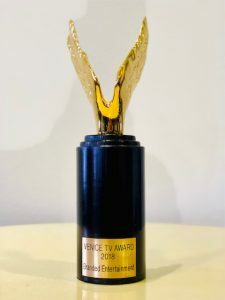 Best Branded Entertainment from Venice TV. We moved. Our address is now 06-01 Song Lin Building. It’s nice and cosy. Do drop by. A Route Awakening Season 4 now on air NatGeo Asia Here’s the teaser. This season, we’re looking into Bridges and it’s presented by Harry Yuan. Just completed an epic 6weeks tour of China filming for Route Awakening, Season 4. TX end of the year 2017. Follow our instagram page for some pics. 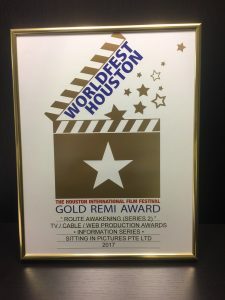 Route Awakening Season 2 wins Gold Remi at WorldFest Houston for best Information series. 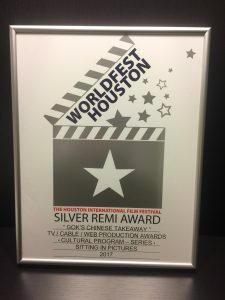 Gok’s Chinese Takeaway wins Silver Remi at WorldFest Houston for best Cultural Program series. 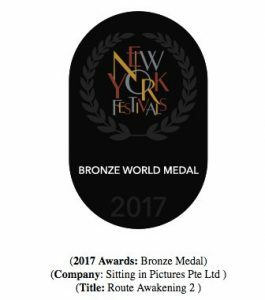 Route Awakening Season 2 wins Bronze World Medal at New York Fest for Route Awakening 2. Category: Best Documentary/Information Program, Cultural Issues. A girl who has taken too many punches in her life, decides it’s payback time… with mixed martial arts. September- November 2016: Route Awakening Season 3. Completed shoot that took place from Southwest Yunnan to Northeast Jilin province. We went through hot and humid to bone-freezing temperatures in a space of 6 weeks. Route Awakening2. May5 2016. Ep1 and 2 for China market, now on Weixian . May 2016. Just completed a mega 70+ day shoot in Europe, Malaysia and Australia for an upcoming series for NatGeo People Channel. The equally mega post production begins. Tx from July. Stay tuned. April 2016. Ecstatic to have the accolades… Silver medal from NYfest and Platinum and Gold from WorldFest in Houston.